Who's ready for Spring Break? These fresh, post rain days are starting to feel like Spring, and we soaking it all up (rain and all). Downtown is beginning to bustle again, and we are looking forward to all this month holds! Continuing our Art After Dark 2018 series exploring Food as Art, we had artist Anne Laddon join us last Friday––painting live a dish from our menu! She finished it up back in her Paso studio, we can't wait to see the finished product! Join us for April's Art After Dark as we explore cooking with ancient grains with Courtney Coleman, NT. We are back for March, and the menu is looking rather delectable, if we may say so. Join us March 21st, 7-9p for a community style dining, optional wine pairings and a night to remember...tickets available through Eventbrite or click link below! If you want a meal out downtown, our menu is ready and waiting. If you want to make a unique, good-for-you meal, our mercantile is brimming with options (like local Kandarian's green lentils with Le Bon Magot's eggplant chutney, + a bottle of Press Gang Cellars "Savanna Rhea" rose). Or stock up an Easter basket. Whatever you're in the mood for, here we are. Full transparency, I am a sucker for this wine. That, and Foxen was the first winery I worked for after transitioning from working in kitchens to slinging wine. I have a deep sense of loyalty to this brand and I will always try to expose as many people possible to Billy’s wines. This wine is outrageously delicious with cedar, smashed black plums, red and black currants, dark lilac flowers that show elegantly with layered notes of smoked chipotle peppers. It is, of course, an amazing food wine, but I could (and I do) drink this by itself--letting myself get lost in the wine’s layers and complexities. As part of our Art After Dark 2018 series exploring Food as Art, Vana Tisanes and Baceae join us for ENHANCE: showcasing the world of blending herbs and crafting food for beyond basic sustenance. Founders and creators Mike and Miho bring their expertise and artistry for an evening that is sure to be educational as well as beautiful--complete with sips of tea and cbd bites. Let Phyllis buy you a latte! Come get a free drink at our espresso bar on Wednesday, February 14th (Valentine's Day) from noon-2p. Phyllis Wong is a lender with First Captial Group, new to town + looking to connect/network with others here in SLO. We had such a wonderful time serving 26 guests at one long, local table for our second community dinner--the company was fun and the food wasn't bad either (if we do say so ourselves). Keep an eye out for March's Our Local Table dates and tickets...coming soon. 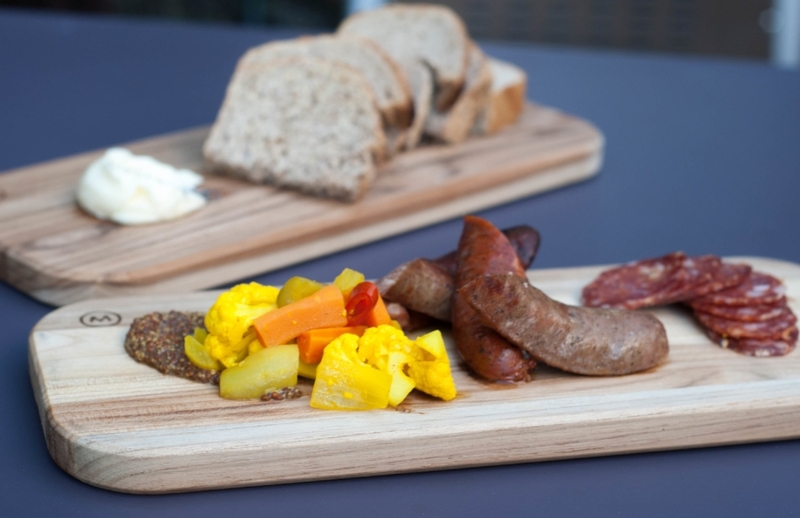 Have you tried us for dinner yet? Our first restaurant month! 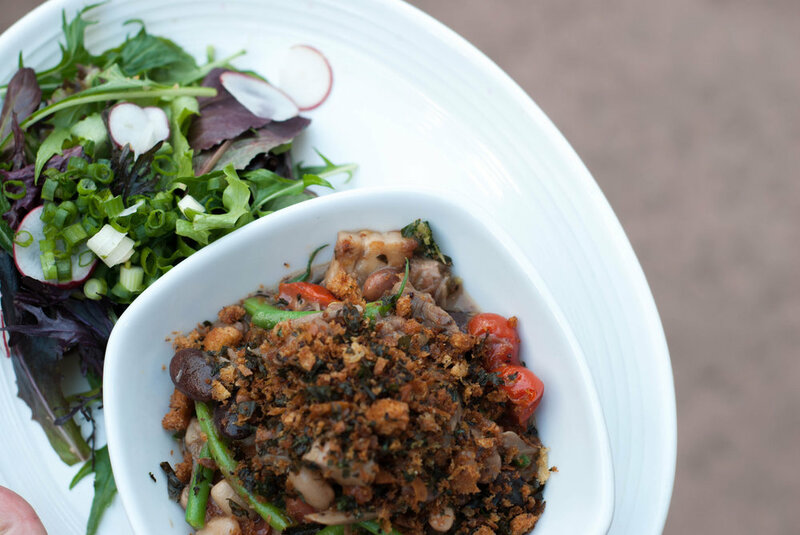 Join us inside or on our heated patio for a meal that's casually delicious. 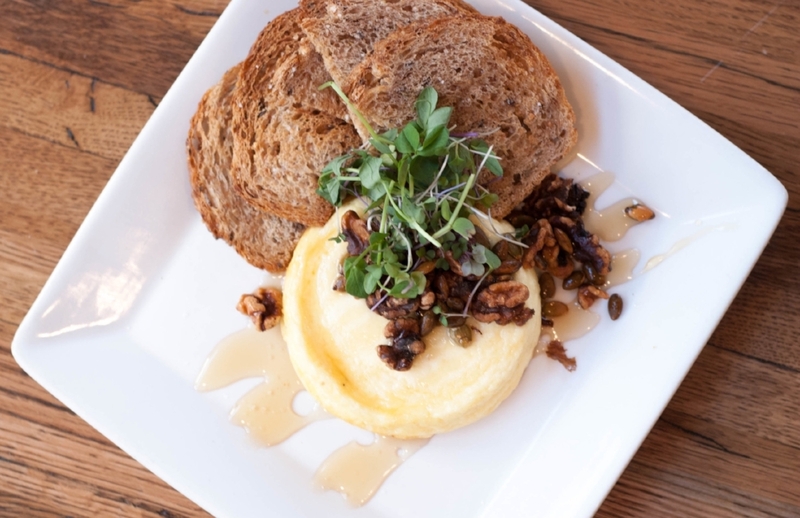 It's a meal designed for sharing--and at $18/person, you can sneak a date in while still affording the babysitter, or try a little bit of everything on a college budget. Our first holidays! We've loved getting to get in the spirit with you all--from hot chocolate at the holiday parade to loading a car with over a dozen gift boxes for delivery. Our heaters are on, our dishes are hot, and we are all ready for winter. 'Tis the season for gift giving of all kinds! From the office to the home, our mercantile offers individually crafted gift boxes to fit any personality or sentiment, for all kinds of budgets (interested in custom gift boxes? Email your queries to betsi@bluemangomanagement.com). There are still days left to enter the 12 Days of Christmas Instagram Giveaway--we partnered with some of our favorite vendors + their holiday goods for 12 days of cheer! Tis' the season to win one, gift one. Follow us @mintandcraft for a chance to win! Didn't win the one you had your eye on? NOT TO WORRY. All the items from our giveaway are 12% off in store until 12/12. We'll get you all set up for a very foodie holiday. As part of our Art After Dark 2018 series exploring art as food, our first stop is In A Pickle: exploring global quick pickles. Complete with pickle bites and Barrelhouse pouring beer to wash it all down. November has finally arrived & boy we are feeling the season change--the trees are letting go of their oranges and yellows, there's a crispness in the air after the long hot Fall--and we're feeling the urge to gather in good company with great food. We had our first successful Our Local Table dinner last week (we can wait for January's, stay tuned for dinner date). We know the cooling temps mean a warming up for the holidays, and we lots of giftable items for your loved ones. 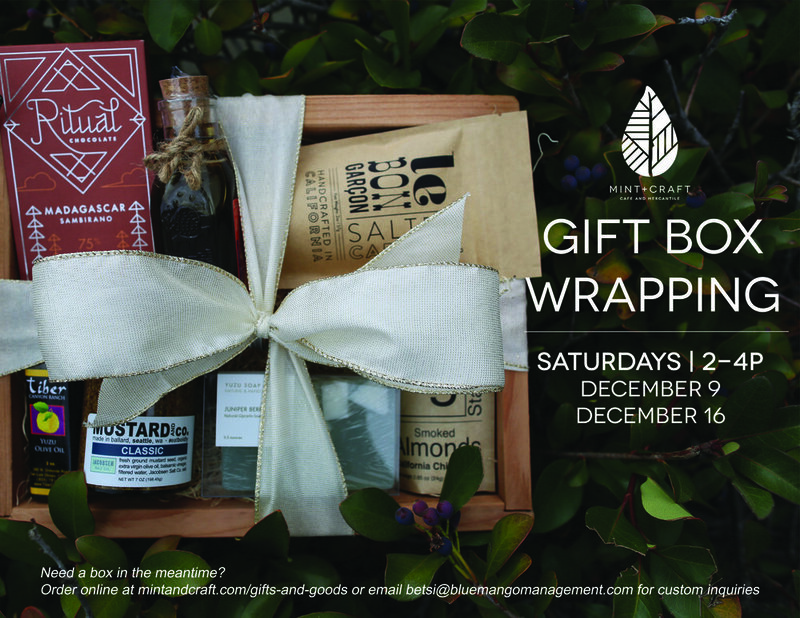 Be sure to check out our gift box wrapping dates, our online gift box program, or let us host your holiday parties. All the details are below. JOIN US EVERY THURSDAY EVENING FOR SOME SOUFUL TUNES FROM DJ MANO GIL + THE BOOGIE BIKE! As always, we are grateful for you, our guests, your support, and hungry bellies. If you have any questions, comments, or want to check out the menu for dinner tonight, please contact us.